Aimia Institute surveyed over 10,000 people about communications from brands. Over half of the consumers surveyed were annoyed by too many irrelevant messages. They avoided the brands sending those irrelevant messages and simply deleted the messages without reading them, or after reading only the titles. As the Aimia Infographic shows, 66% consumers unfollow those brands on social media, 70% close their accounts with them, and 54% delete apps as a direct result of poorly targeted communications. However, 56% of those surveyed still share their personal information for relevant offers. That means they want to hear from you! However, the magic word is “relevant.” If a customer gives you his or her Email address, he or she is waiting to hear from you, and you have a golden opportunity to communicate your message. Would you waste that opportunity on something that doesn’t apply to that customer? InOrder can help you send only relevant information to your customers without over-sending by letting them opt-in and specify a maximum frequency to receive Emails from you. When they can make these decisions, they know that when they get a message from you, you’re telling them about deals they’re interested in, and they know they’re getting information they requested. 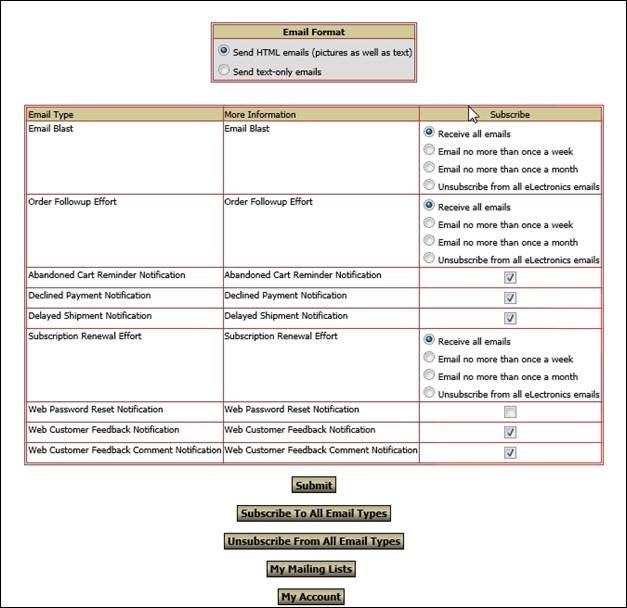 Using InOrder’s Email Marketing Enhancement, you control which Email types are listed for the customer to view, and you define the choices they have to subscribe to each Email type. Web customers can also control the format for their Email from your website. They can elect to receive either text or HTML format. All the data on this screen is configurable based on what choices you want to offer your web customers. For more information on how the InOrder Email Marketing Enhancement can improve your Email deliverability, contact Morse Data Corporation today. InOrder has top of the line search capabilities, and we keep improving it. Along with Facet Filtering, the web cart uses search functionality that stores phrases for faster suggestion lookups and populates the search field with matches. This makes searching easier for your customers and gives them faster access to your products, which helps you improve the shopping experience you deliver. 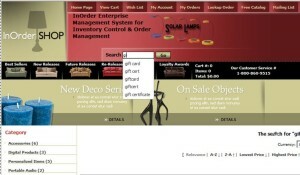 Check InOrder’s Inventory Search Audit report to see how users are searching your products. What do your shoppers search for and what are the results? 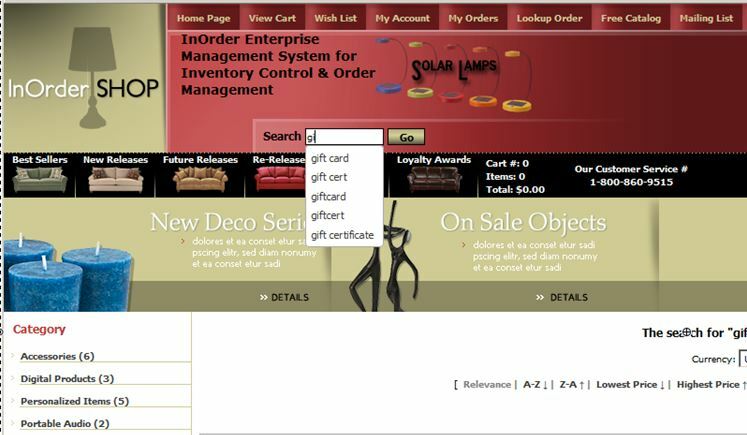 If necessary, use InOrder’s superb flexibility for any modifications by setting up products to match how users are searching for them. “It was exciting to be at the IRCE 2015 in Chicago. I was fortunate to speak with both software vendors and show attendees. When discussing software, I was surprised to learn how many vendors offered “partial” solutions, yet they claimed to offer a complete package to their clients. 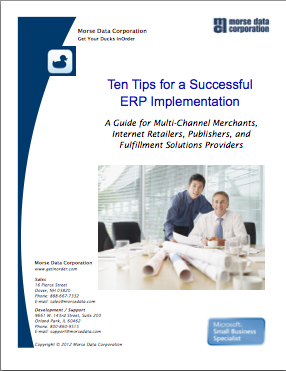 I asked an eCommerce vendor, “How does your client know when to reorder inventory or send a PO to the vendor? The answer was that the software does not do that. Don’t get me wrong, they offered some slick eCommerce solutions, but they only focused on product marketing and taking web orders. I asked another competitor what they provided and again, I was surprised to learn they only cover desktop order entry and purchase orders. Do you notice a pattern to these comments? InOrder is a totally integrated, all-in-one solution for eCommerce, multi-channel merchants, publishers, and fulfillment service providers. Start with only the components you need, and add them as your business grows. Each new component is integrated with the existing ones. One of the main themes at the IRCE this year was for retailers to add an on-line B2B presence. Through its customer type inheritance capability and its extensive pricing features, InOrder has always supported B2B. InOrder users can build in varying channel segmentation rules and behaviors based on B2B vs. retail in terms of marketing, merchandising, pricing, picking/packing/shipping, customer service, and even contact management for follow-up efforts. For example, InOrder’s eCommerce module has a built in B2B web site for wholesale orders that can be accessed by your B2B customers. In addition, established business customers can immediately see and search inventory with pricing agreements reflected, and can use their lines of credit when making on-line purchases. 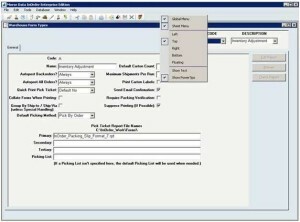 They can enter orders using grids. Their shipping arrangements are even automatically applied to web orders. 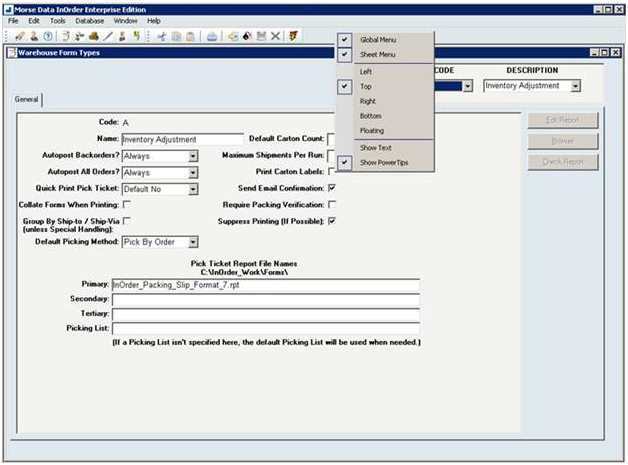 The InOrder “EDI with Customers” Module can be tied in for acknowledgements of web orders, carton license plates, and advance shipping notices. Designed as a true multi-channel system from the ground up, InOrder is inherently robust in retail and B2B sales, whether in the warehouse, the walkup counter, the web, or “what’s left of the call center” (a phrase mentioned now and again at the show). Simply right-click on the toolbar and make your selection. Toolbars are reset when you exit InOrder.